Many people will be surprised to know that some of the best-tasting teas are not those teabags, but rather, in loose tea leaves. If you find some tea leaves available with you, but somehow can’t figure out the right way to steep them, then you’re up for some good news: brewing loose tea is not rocket science. If you’re wondering how to make loose tea, all you need is some nice kettle, an infuser, and your leaves. First, get fresh water into a rolling boil (but do not overboil the water). Leave the water for a minute in the mug and throw it away after awhile. After that, get your desired amount of loose tea and put the leaves in an infuser. The amount depends on how strong your tea is, and your personal preference as well. Boil water again since the pot is now hotter, hence, it won’t cool down the tea). Put the strained leaves in a mug, and pour the water into it. Cover the mug and leave the tea to brew for about 3-5 minutes. Some teas can become too bitter if brewed too long, so be mindful of what tea you are brewing. Once you get your desired taste and character, you can now remove the leaves and enjoy your mug of fresh, hot tea. With those fun and easy steps, you will prove that brewing tea is not as difficult as it seems. Everyone can learn how to make loose tea. Should Your Kettle For Tea Brew Loose Tea? Using kettle for tea brewing might sound like a nice idea. However, you must remember that tea leaves are too delicate. For you to bring out their finest taste and health benefits, the temperature just has to be right – or else you will burn the leaves and cause your brew to be a bitter one. Using kettle for tea brewing is not a good advice, then, if your want to preserve your tea’s optimum taste. The only kind of tea that is recommended for direct brewing in the pot is black tea. Now that you know how to make tea , loose tea in particular, you’ll be even more thrilled to know that brewing loose tea has a lot of benefits. First, loose tea is tastier than teabags that you just tie to a mug and pour water into. Properly brewing tea brings out your tea’s finest flavours. Second, loose tea leaves are packed with more health benefits. Since you have larger leaves to brew, your tea’s antioxidants and polyphenols are more intact compared to those in teabags. Loose tea is always the healthier cup. Third, you have more varieties to discover with loose tea. Buying teabags from supermarkets does not teach you how to make tea in more ways, flavours, and aromas. The world of tea is definitely bigger than Lipton, and if you want to know more, there’s nothing better to do than to discover the vast universe of tea yourself. 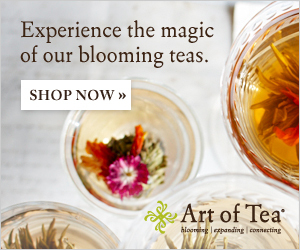 Find A Great Deal On Your Loose Leaf Tea Right Now!